This home shows pride in ownership. Great curb appeal as you approach the front circular drive. 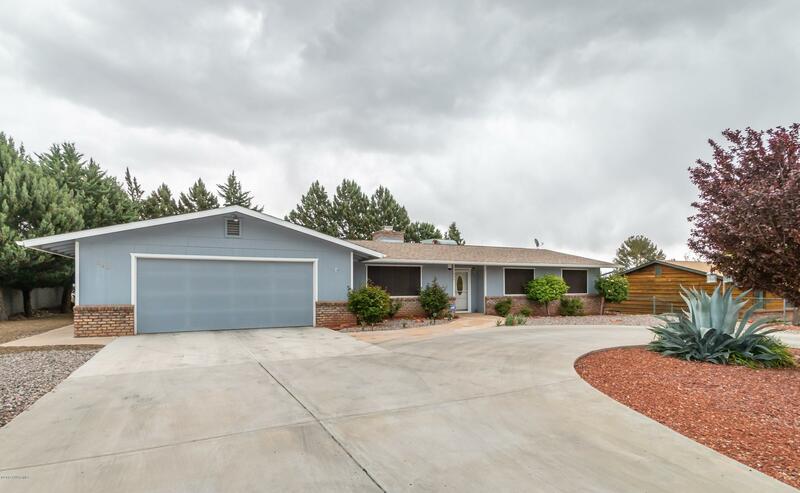 Enter this ranch style home and find lots of room to spread out. Large living room. Great kitchen with 5-burner gas stove, built in microwave, dishwasher, double stainless steel sink with garbage disposal. Breakfast bar and dining area with wood burning fireplace. Huge laundry room with lots of storage. Through the laundry room is the master bedroom with walk in closet and recently remodeled bathroom with access to the backyard. On the opposite end of the home are 3 bedrooms and guest bathroom. Fenced backyard has covered patio and beautiful landscaping. There is a storage shed in the rear and there is enough room on the side of the house for an RV with appropriate culvert.